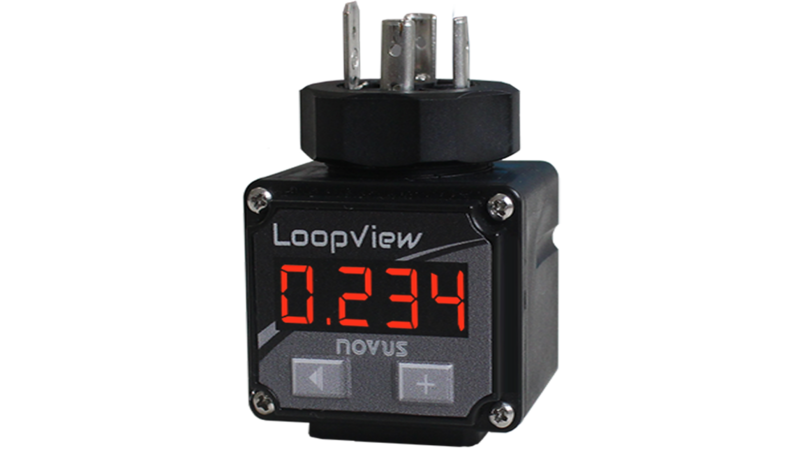 LoopView is a two-wire 4-20mA loop indicator, loop powered and low power. Its excellent precision allows to indicate several measurements like pressure, differential pressure, flow, pH, temperature, acceleration and other. It has valve type connector standard EN 175301-803 (old DIN 43650) male and female. LoopView is powered by the current loop itself and allows to be inserted into sensors already installed in industrial facilities, with same connector type. This device has a 4-digit display and 2 keys, which allows adjustment in indication value and range, decimal point position, applying digital signal filter and user calibration quick and easily. The parameters modification is password protected and can be done directly in the loop indicator, through panel keys. The configured parameters are stored in non-volatile memory, which means they keep saved in loop break occurrence.